Well listeners, it was a long week that we were off, and we’re sure (we hope?) you missed us. Ryan packed up his life and moved to Austin, and I, as I am apt to do, didn’t help one damn bit. We missed the chance to recap UFC Rio, UFC Moscow, Canelo vs. GGG II, and Joshua vs. Povetkin among many other bits of news. However, there are always coals burning in the fire that is the fight game, so we must press on. 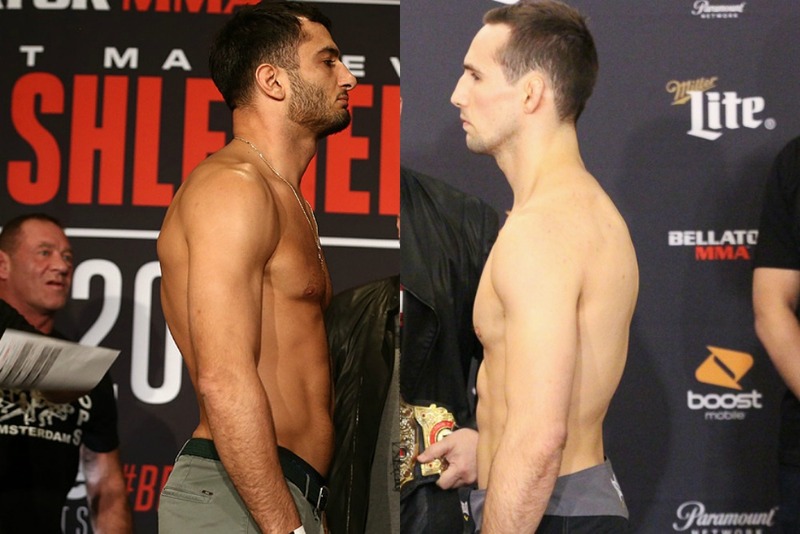 This coming Saturday is the much lauded Bellator 206, headlined by a legitimate superfight with Rory MacDonald vying for Gegard Mousasi’s middleweight title. UFC Moscow, despite being a historic card, has already been lost to the sands of history, because unfortunately, the action in the cage wasn’t all that exciting. At least Petr Yan and Jin Soo Son put on a barnburner. Ryan and I are actually in the minority, as both believed Canelo won a clear but close decision. Will Teddy Atlas take time to yell at us? Hopefully our explanation as to why we made our decision will calm his tortured soul. UFC Sao Paulo was a great night to be an old guy. Francisco Trinaldo kneed Evan Dunham’s kidney into the Phantom Zone, and Lil Nog came off of a suspension to punch Sam Alvey right in his shaved-in smile. Hopefully he’ll have a frowny face on the back of his head next fight. We hype up Bellator 206, talking about how this card shows growth and forward thinking by the organization. Not only are they broadcasting exclusively on a brand-spanking new streaming service, but it’s also NOT headlined by two old guys who were past their prime 10 years ago (although we all know that Bellator will dance with that mistress again in the near future). After you listen to this episode, be sure to check out Ryan’s interview with Sikjitsu coach and Michael Chiesa trainer, Rick Little. They talk about Chiesa’s upcoming welterweight debut against the ghost of Carlos Condit as well as his ongoing (and oddly vilified) lawsuit against Conor McGregor. You can keep up with the show on iTunes, Stitcher, Podomatic, TuneIn Radio, and pretty much anywhere you get your podcasts. I’m the “Professor” from the SFLC Podcast. I watch the fights, I give my two cents, and try to improve everyone’s understanding and enjoyment of the crazy sport that is MMA.